I had a great conversation with some friends and our discussion found its way to the discussion of church. I know, me talking about the nature of the Church, surprise surprise!!! Anyways, one friend knowing my long term goal to do a church plant, asked how I would ensure that I did not fall into the routine of what most churches fall into, and how I would ensure I would be different. I am satisfied with the answer I gave, I basically said that my goal is not to be different. My main critique of some of the emerging dialogue going on is not with approach or style, but with the goals it has. This is not the first person to articulate a desire to be different. And I know beneath that there are stronger convictions that recognize that the church indeed has not always been faithful nor relevant to God and the communities it serves. However, it still seems to be a reaction centered type of thinking to me. I too am very frustrated with the Western Church as a whole and especially American churches. However, my main focus is not on how to be different than them, it is more on how to be faithful to God. For me I must ask the question, “What does a faithful Church look like in the 21st Century?” And after continually going back to God’s Word, praying, and being shaped by other believers in Christ who are asking the same question, a Kingdom imagination breaks forth, from which the Spirit gives discernment on what that might look like. And then I repeat the process again. For me I want to make sure that I am lined up with what God is doing, and do not become just another approach that happens to be very different. I desire that God direct me on how I and my ministry can align with what God is doing. Everything centers around what God is doing first, and then me being a faithful participant in God’s doings. I know I have thrown out the term Missional at various times on this site, with out spending the time to define what it is. While I have critiqued aspects of it as a movement, and how it has been lived out, I tend to agree with the overall theological foundations and assumptions. A friend had this video on there blog, and it seems helpful in getting at the heart and core of what a missional church is all about, at least in theory. Freestyle with me, what do you think? For the last few days, I away at Ecclesia’s National Gathering. Ecclesia is a missional network that specializes in coming around church planters and church leaders to relevantly minister to a rapidly changing culture. I had some great dialogue with many people while I was there and definitely left with a lot to think about and chew on because the teaching was so rich. However, like my stereotype suspected (yes, I admit I prejudged them before I knew them… guilty!) it was an overwhelming white constituency. In fact, while I have been to many mostly white christian events, I actually think it was the whitest event I have ever been to. If you throw Blacks and Asians, (sorry, there were no latinos present) into one group it would total to about 1% of the group. This reality is sad and unfortunate given that this new group of “missional” christians tend to see themselves as Evangelicals 2.0, who are supposedly more open minded and value diversity more than evangelicals do. While that might be in the teaching and vision, in reality, most evangelical events I have been to are closer to 5-10% minorities. I am not making that sound like that is a good number, but it is way better than 1%. Despite everyone’s agreement through many conversations about the elephant in the room (lack of pigmentation), it didn’t seem hopefull that anything was really going to change. All my bible readers out there, don’t you love it when you find a powerful passage that you can chew on for weeks? Or how about when you find a verse that is jam packed with a bunch of goodies for you to chew on for a hot minute? We love a good passage or verse that we can dissect and dig into. In fact, many have grown accustomed to digging real deep into passages. We can read, study, and meditate on the same passage for over months at a time, shoveling out all kinds of bible bits for us to eat. I think the practice of digging deep into biblical text is a great thing, but it can be dangerous in and of itself. Our culture loves to take an individual verse and chew on it, but hardly are we challenged to see how the verse fits in context with the passage, and how the passage fits in context with the biblical book, and how the biblical book fits in context with the entire biblical narrative. May I suggest that we need to read both deep and wide. I believe we actually should read the bible not only in quality, but in quanity too. Discover and read the gospel of Luke in just one or two sittings and see what it was that Luke was trying to say about Jesus. What was the unique portrait of Jesus that Luke paints for us, and what are the specific themes of his gospel? What happens when we begin to read teh bible as a great meta-narrative, as the greatest story ever told, and then allow everything we read to fall in context with that great story. Is the story taking place before or after the fall? Is it before or after Christ? And does it matter and change its implications for our lives? Freestyle with me folks, has your Christian community encouraged you to read both deep and wide? 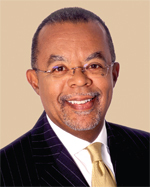 “Genetics and Genealogy” • February 25, 2010, 8:00 p.m.
Henry Louis Gates Jr., Ph.D., will deliver the second keynote lecture of the Centennial year and the keynote address for the Messiah College Humanities Symposium. Professor Gates is editor-in-chief of the Oxford African American Studies Center, the first comprehensive scholarly online resource in the field of African American Studies and Africana Studies, and of The Root, an online news magazine dedicated to coverage of African American news, culture, and genealogy. In 2008, Oxford University Press published the African American National Biography. Co-edited with Evelyn Brooks Higginbotham, it is an eight-volume set containing more than 4,000 biographical entries on both well known and obscure African Americans. He is most recently the author of In Search of Our Roots (Crown, 2009), a meditation on genetics, genealogy, and race, and a collection of expanded profiles featured on his PBS documentary series, “African American Lives.” His other recent books are America Behind the Color Line: Dialogues with African Americans (Warner Books, 2004), and African American Lives, co-edited with Evelyn Brooks Higginbotham (Oxford, 2004). Immediately following the lecture, audience members are invited to attend a public book signing by Dr. Gates in the Eisenhower Campus Center. This event is open to the public. Seating is by ticket only; no charge. Tickets available beginning January 14, 2010 through the Messiah College Ticket Office, (717) 691-6036. Had to throw this clip in cause it was funny. Jon Stewart is actually challenging Keith Olbermann for being too nasty (I know it sounds like bizarro world, right?). Enjoy. The brilliant Dr. West shares words of challenge and encouragement with our President. I have a recent sermon available for the month of February that can be downloaded for free. Just click on my “free freestyles” page where you will find the link. As well, I often offer other free resources on that page as well. Enjoy.